If you are looking for a home with an unrivaled backdrop of things to do, see and visit then target some time for a visit to Dillon Valley East in Dillon, CO. Nestled comfortably along I-70 in Dillon, Dillon Valley East is a condominium complex that puts you just cross town from Dillon Reservoir, within 15 minutes of ski resorts like Breckenridge and Keystone, 30 minutes from Vail and just a hair over an hour’s drive from Denver. 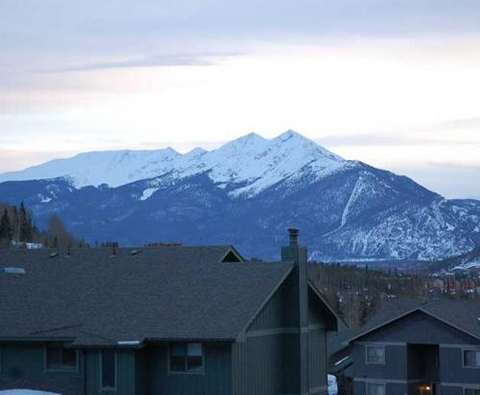 With views of the Ten Mile and Gore Range, all condominiums have open kitchen and living areas combined with studio, 1, 2 or 3 bedrooms floor-plans and access to an indoor pool, open tennis courts and a resident friendly clubhouse. Residents of Dillon Valley East would be part of the Summit School District which combines students from the Breckenridge, Dillon, Frisco and Silverthorne communities to prosper as one of the top school districts in the state. The Summit School District works closely with residents in the community to build an atmosphere of respect and care for all students, providing programs to inhibit a unique academic, personal and vocational opportunity. Dillon Valley East students would attend either Summit Cove or Dillon Valley Elementary Schools in Dillon and then finish up at Summit Middle School and Summit High School in Frisco. Something new residents find out quickly is that Dillon has retained much of its small town charm without being called a sleepy hideout. Lots of things to do and see including one of the state’s top community live theater companies in The Lake Dillon Theatre Company. Within walking distance of Lake Dillon you find the Dillon Town Center where a variety of opportunities thrive including movie rentals, a post office, a bowling alley, kids playground, ball fields, a lakeside park and of course the boat marina with a seasonal lakeside bar and grill. Along Highway 6 on the south side of Dillon are the Dillon Ridge Market Place stores, a nice mixture of local and national businesses including a grocery store, Movie Theater, restaurants, a book store and a sporting goods store. Summer time in Dillon is hard to top with its family activities, boating on Dillon Reservoir, free nature nights, Friday’s weekly Farmers Market and weekend concerts with a wide range of musical tastes at the open-air Lake Dillon Amphitheater. Residents can enjoy the fresh air family time picnicking or playing in any of three large recreation areas surrounding Dillon Reservoir or take scenic walks, in-line skating or bike rides along more than 25 miles of paved recreation paths that encircle the reservoir. Of course winter time residents would be within minutes of world known skiing and play times at Arapahoe Basin in Breckenridge or Copper Mountain in Keystone.